This is a walk designed to cover most if not all of the locations in York associated with Henry VII and his reign. As king, Henry reigned England from 1485-1509 and visited York on two occasions – 1486 and 1487. King’s Manor was originally built to house the abbots of the adjacent St Mary’s Abbey. The current construction was built atop the original Norman building and many parts of the building date from the 15th century. After the Abbey’s dissolution by Henry VIII in 1539 it became the headquarters of the Council of the North for the next 100 years. Henry VIII was noted to have stayed here during a progress to the north. Queen Margaret’s Arch is a small entranceway in the defensive walls which once provided protection to St Mary’s Abbey. The portion which remains today is the familiar arch through which scores of residents and tourists pass on a daily basis to traverse to and from the city centre. This opening was created in 1497 to provide easy access to and from the Minister from the Abbey; it was further utilised in the summer of 1503 when the convoy of the teenage Princess Margaret Tudor, eldest daughter of King Henry VII and Elizabeth of York, passed through with her convoy on her journey north to Scotland for the commencement of her marriage to King James IV. The visit of this Princess of England and Queen of Scotland to York was of great importance to the citizens of York as it offered an opportunity to display due reverence and loyalty to the King of England and to gain the favour of the Tudors in the aftermath of the turbulent Wars of the Roses. It is stated that the streets were lined with such large crowds it took her two hours to progress from the archway to the Minster. She had been met by the Mayor and the Aldermen dressed in their finest crimson robes and adorned with their chains of office. The following day Margaret attended High Mass at the Minster and witnessed another procession. She was ‘richly arrayed in a gown of cloth of gold with a rich collar of precious stones and a girdle reaching down to the ground made from spun gold’. This occasion was commemorated in 1899 by a local historical society who commissioned a plaque which is presently positioned on the wall next to the arch. Bootham Bar has been a gateway into York for over 2000 years and was used as an entranceway by the Romans. The existing structure primarily dates from the 14th century, with the arch an 11th century Norman creation. In 1501 during the reign of Henry VII a door-knocker was installed with the requirement that any visiting Scots had to knock and obtain permission from the Lord Mayor to enter the city. A portcullis can still be viewed in the empty chamber. During the Lambert Simnel conspiracy Bootham came under attack from rebels, “the lords Scrope of Bolton and Upsall, constrained as it was said by their folk, came on horseback to Bootham Bar, and there cried ‘King Edward’ and made assault on the gates, but the commons who were watchmen there well and manfully defended them and put them to flight’. After another rebellion in 1489 over tax was more successful in breaching Bootham Bar, Henry VII criticised the city for not maintaining the walls in a good condition. 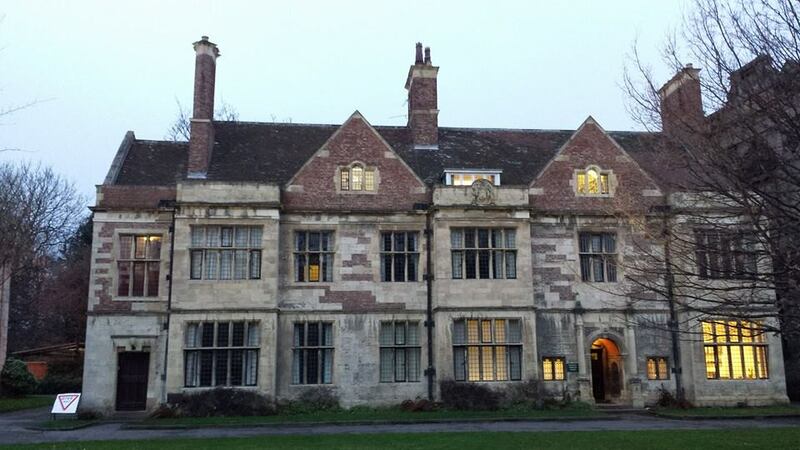 The Archbishop Palace is located a few yards from the Minster within the confines of the Dean’s Park. As its name suggests it was the one-time medieval residence of the Archbishops of York before their eventual relocation, firstly to Cawood Castle and then to Bishopthorpe Palace. On 9 September 1483 Edward of Middleham, only son and heir of King Richard III, was invested as Prince of Wales within the walls of the Archbishop’s Palace, an attempt at turning attention away from the exiled Henry Tudor and towards Richard’s own hopes for the future of the House of York. Today the remaining buildings of the Palace house the Minster Library. St William’s College has no direct link with Henry VII but is nonetheless another intriguing and important 15th Century building in York. The current incarnation of the building was built during the start of the reign of Edward IV, in the early 1460’s. It was designed to accommodate 24 priests who were entrusted with praying for the souls of the deceased in exchange for payment, a common medieval activity. The building was named for Saint William Fitzherbert, Archbishop of York in the mid twelfth century and a nephew of King Stephen. Henry VI was responsible for the initial licensing for the chantry in 1457 before his successor Edward IV renewed the royal licence in 1461 shortly after coming to the throne, encouraged no doubt by his Neville cousins. 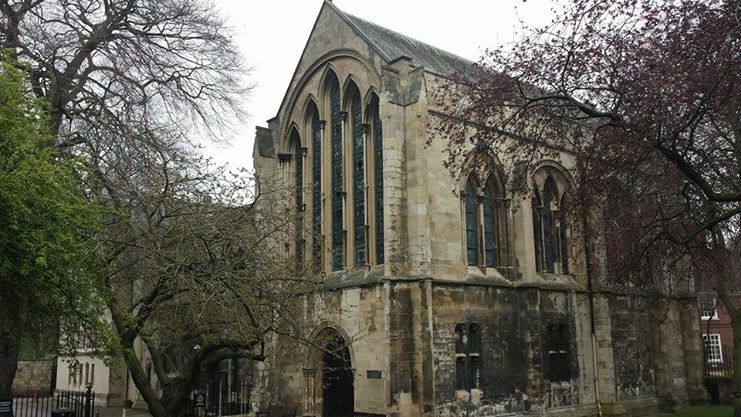 Building commenced in 1465, the year George Neville became Archbishop of York, and would remain the abode of the Minster’s chantry priests until the reformation the following century. 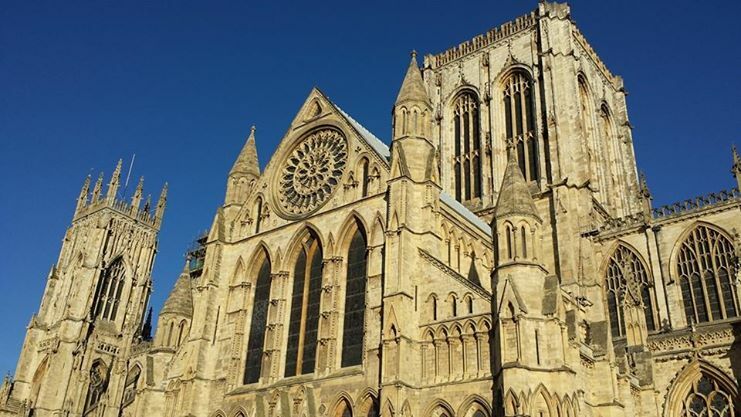 York Minster is undoubtedly one of the greatest examples of medieval architecture in Europe, a true landmark renowned across the continent and a wonderful demonstration of the Gothic style. The Rose Window in the Minster was believed to have been created during the early Sixteenth Century and is a celebration of the union of the White Rose of York and the Red Rose of Lancaster in the marriage of Elizabeth of York and Henry Tudor. During Henry’s progress to the city in 1486, when he would have heard Mass in the Minister, a pageant was put on in his honour in which was featured ‘a royal rich red rose, unto which rose shall appear another rich white rose, unto whom all flowers shall give sovereignty’. This was the birth of the Tudor Rose, the symbol of a new era. Inside lies the tomb effigy of Thomas Savage, Archbishop of York between 1501 and 1508. Savage was a much-valued ecclesiastical figure during the reign of Henry VII. He was a kinsman of the Stanleys and his brother Sir John Savage had commanded part of the Tudor forces at the Battle of Bosworth. Archbishop Savage was said to lead a live more akin to that of a nobleman than a cleric, enjoying hunting and other secular pursuits. As archbishop he played a key role in the marriage of Prince Arthur to Katherine of Aragon and also in the ennoblement of Prince Henry as Duke of York. He also served as President of the Council for an extended period, a position of utmost importance as it was he who presided over the meetings whilst the chancellor was absent. By 1498 he was referred to by the Spanish envoy as being one of the most influential people in the kingdom. Opposite York Minster stands the city’s only 16th Century church, and a wonderful place of worship in its own right. The current incarnation of St Michael-le-Belfry was built during the tumultuous Reformation period of 1525 and 1537. The Minster’s Master Mason John Forman was the architect and it’s an interesting fusion of the traditional Medieval Gothic Style evident in the Minster with flourishes of the new Renaissance period. Although it was built after the time of Henry VII it is nonetheless an intriguing Tudor construction, unique in York. It also served as the church in which the notorious Guy Fawkes was baptised in 1570. Stonegate is one of York’s most important and historic streets; the current thoroughfare lies atop the Roman Via Praetoria, suggesting the integral part this street has played for thousands of years. The street also played a key role in the construction of the Minster; stone from Tadcaster was brought from the River Ouse up the street to the Minster. During Medieval times the street was home to goldsmiths, printers and glass painters amongst other craftsmen. 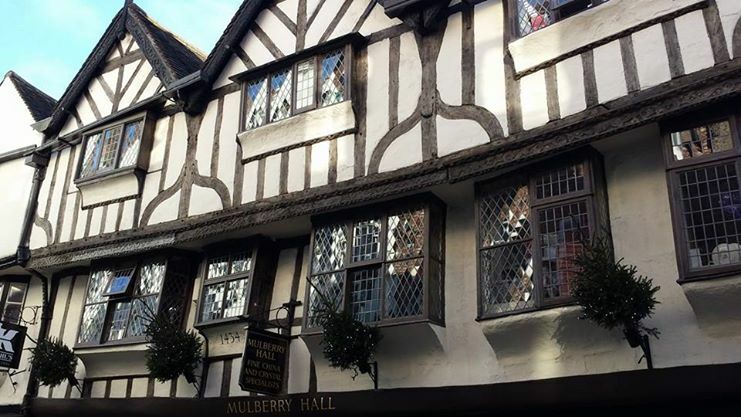 Mulberry Hall, situated about half-way down Stonegate is a prominent medieval building built in the mid-15th Century. In April 1486 as part of his progress to York, Henry VII passed through Stonegate where he was greeted with a pageant. A lady dressed as the Virgin Mary blessed the new king in what was a joyous welcome to the centre of York for the new king. 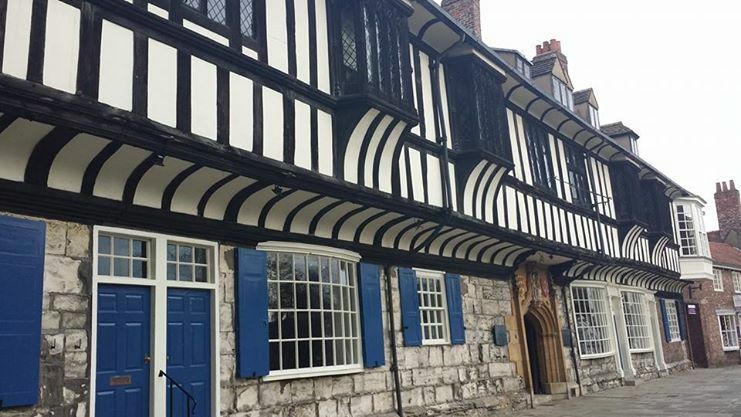 Barley Hall is a reconstructed medieval townhouse in the centre of York situated just off Stonegate, an historic thoroughfare close to the towering Minster that would have been one of the most prestigious streets in England during the 15th century. 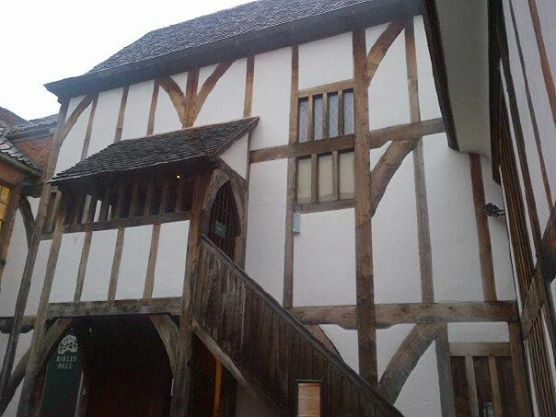 Accessible through two small atmospheric alleyways, the townhouse portrays how the building appeared in the 1480’s. Rooms include the great hall, a buttery and pantry, a parlour and several bed chambers, each of which is fitted with furniture relevant to the era. Originally built in 1360 by monks of a priory, by the reign of Henry VII it was a bustling residence playing an important role in the civic life of England’s second city. The property came into the ownership of successful goldsmith William Snawsell in 1466, who initially rented the townhouse for the relatively high price of 53 shillings and 5 pence. Snawsell was wealthy in comparison to his fellow townsfolk and owned a multitude of property throughout York and the neighbouring villages. As a prosperous gentleman he served the city in various capacities, earning a degree of regional prominence as Chamberlain in 1459, Sheriff in 1464, Lord Mayor in 1468 and alderman for twenty years thereafter until his retirement due to illness in 1492. As a prominent civic officer Snawsell was a contemporary of Richard III when he was both Duke of Gloucester and King of England, As Alderman it would have fallen upon men like Snawsell to welcome Richard to the city on his various visits and to walk in procession during the subsequent celebrations. Adorned in his purple gown of state, this was a role Snawsell would have continued under Henry VII, only retiring from service in his seventies. Snawsell also played a prominent role in taking gifts to Richard’s son Edward of Middleham and honouring the newly invested Prince of Wales in September 1483. Further enhancing his credentials as a loyal member of Richard’s northern affinity was his relationship through marriage to Thomas Wytham, who was one of Richard’s councillors when Duke of Gloucester and a former Chancellor of the Exchequer under Henry VI and Edward IV. Presented with the loss of a patron who had treated York, and in particular its civic gentlemen like William Snawsell well, the elderly alderman chose to make an immediate peace with the new monarch and accordingly swore allegiance. 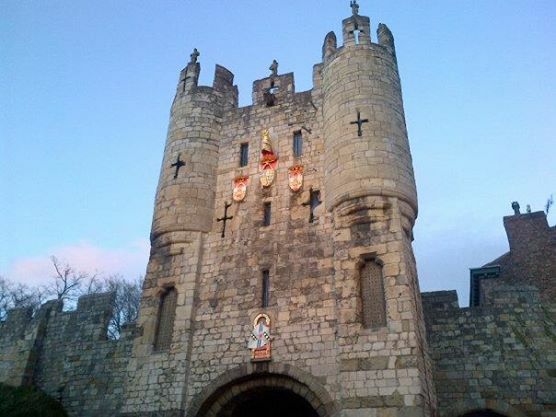 As alderman it is probable that Snawsell would have honoured Henry VII during the new King’s progress to York, forming a core part of the welcoming committee at Micklegate Bar. It is believed he died around 1495 although no will has survived to verify. Snawsell’s townhouse at Barley Hall would have been amongst the most opulent in the city and would have been served by around twelve servants, including a cook, a steward and various scullions to ensure the smooth running of the household. Snawsell lived at the property with his wife Joan Thweng of Sheriff Hutton and their children Seth, Isobel and Alice. William remained in possession of the residence under 1489 when it was sold to William Carter, a wine merchant. The reconstructed Barley Hall stands today almost as a testament to the importance these local civic officers played in shaping history’s most dramatic moments, a participation that is generally overlooked in favour of the kingdom’s elite nobles. William Snawsell succeeded in achieving what very few nobles managed to do in the 15th century, and that was to serve four kings and both the House of Lancaster and House of York. Church of Holy Trinity was founded in the early twelfth century and features thirteenth and fourteenth century architecture. The church received substantial restructuring during the 1470’s under the guardianship of Rector John Walker. The rector was responsible for the magnificent stained glass window on the east wall, which was added in 1471. The tower was added during the reign of Henry VII and was completed between 1495 and 1496. Monk Bar is the site of the Richard III Experience. The Bar is a 14th Century construction that was heightened under the orders of Richard III. The section of Wall from here to Layerthorpe was probably repaired during the reign of Henry VII; the arches are late medieval and correspond to other late 15th Century walls in London and Tenby. The Merchant Taylor’s Hall is a 14th Century timber-framed building that has served as the base of the Taylors Guild in York for over 600 years. They were one of seven guilds in the medieval city and were a powerful entity. They received the patronage of Henry VII in 1503 when he officially recognised their name through charter as the Merchant Taylor’s Guild. The King’s Fishpool was a large shallow lake lying between Layerthorpe and Foss Bridge. It was created during on the orders of William the Conqueror in 1069 when he dammed the River Foss and added another level of defence on the eastern side of the city. The Fishpool would remain in situ for the next 700 years and its boundaries can be understood by the lack of walls between Layerthorpe and the Red Tower. Today the name for the area is Foss Island, derived from the 18th century when the Fishpool began to silt up creating a series of marshy islands. The fishpool provided a plentiful supply of fish to the nearby castle. The Red Tower in York, constructed during the reign of Henry VII. This watchtower once marked the end of the city walls before the commencement of a large swamp that was part of the King’s Fishpool. 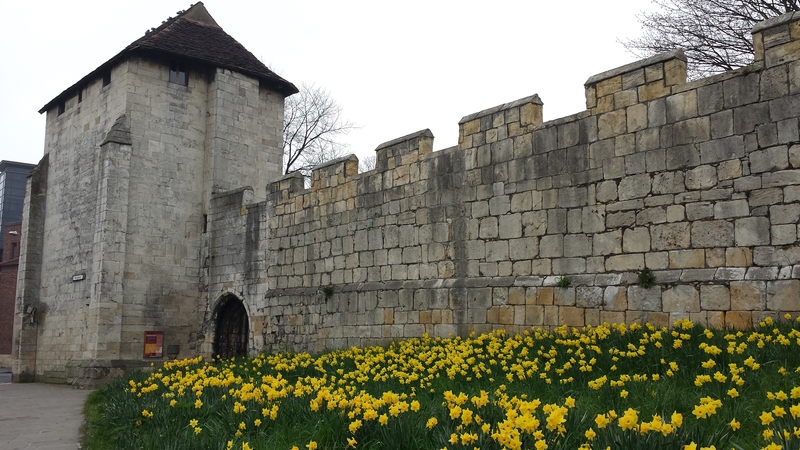 An agreement was made between King Richard III and York City Corporation to strengthen and repair the walls, an understanding that continued into the reign of Henry Tudor. Construction began on the Red Tower in 1490. The Corporation did not wish to pay the higher rates to Stone Masons and therefore employed the cheaper Tilers Guild to build the tower using bricks. This decision angered the Stone Masons who had hitherto been responsible for all such construction work in the city and a feud erupted between the masons and the tilers, who complained that their tools were being routinely broken or stolen. The situation escalated until 1491 when a tiler named John Patrick was murdered. Two masons were charged with his murder. One man was Christopher Horner and the other was William Hindley, Master Mason at the Minster. Hindley escaped arrest as he stayed in the Minster area which fell under the jurisdiction of the Archbishop rather than the city authorities. Both men escaped conviction, an indication of the power masons held in the city. The tilers were permitted to finish the Red Tower but it would prove to be York’s only brick building of the period. It was first referred to as the Red Tower in 1511 when artillery was kept there. 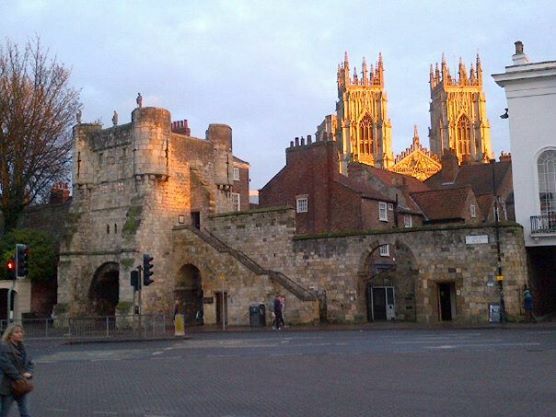 Walmgate Bar is the most complete of the city’s four bars as the only gateway that still retains its barbican. Similar to the other bars, the eldest part of Walmgate is the 12th century stone archway with the remainder generally being 14th century. Uniquely the inside of the Bar features a timber-framed Elizabethan house. The heavy wooden doors date from the 15th century. Henry VIII entered York through this bar in September 1541. Fishergate Bar was an alternative medieval entrance into the city. The arch was restored in 1487 by the Lord Mayor of York William Todd who is commemorated on the plaque above the archway. Mayor Todd was knighted that year by Henry VII for providing support against the forces of Lambert Simnel, Yorkist pretender to the throne and in celebration funded the restoration of 55 metres of the walls including Fishergate. Only two years later however an uprising occurred in York amongst some of the citizens angered at the raising of taxes by Henry VII. One of their acts of civil disobedience was the torching of Fishergate Bar on 15 May 1489, carried out by Sir John Egremont and John Chambers. After the attack Thomas Wrangwysh was reprimanded for not keeping the two bars in adequate repair. The damage was such that the Bar was bricked up and would remain as such until 1827. The king also ordered that the walls in the area be repaired and strengthened. In 1491 the king further ordered the walls and ditches to be repaired and guns to be obtained. The Mayor pleaded poverty in response so the king granted £98. The guns didn’t materialise until the reign of his son Henry VIII in 1511. 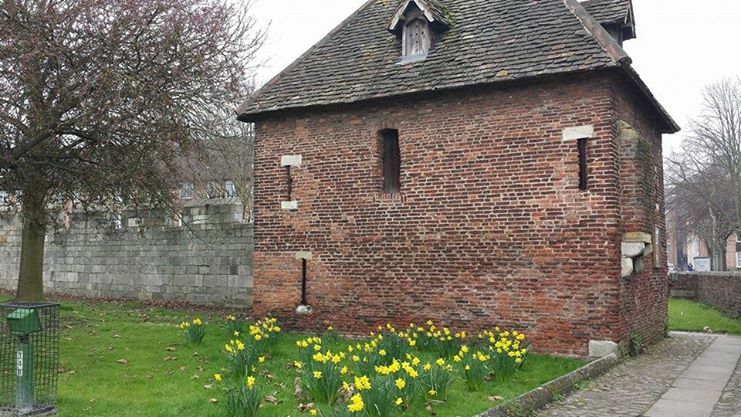 Fishergate Postern is a large, rectangular stone building built first erected in the early 16th century. It was a defensive tower used to keep guard over the nearby postern gateway. The original early 15th century tower was designed to be a secondary entrance to the larger, nearby Fishergate Bar. The Postern saw increased usage during the reign of Henry VII after the destruction and subsequent bricking up of Fishergate Bar after the tax riot of 1489. 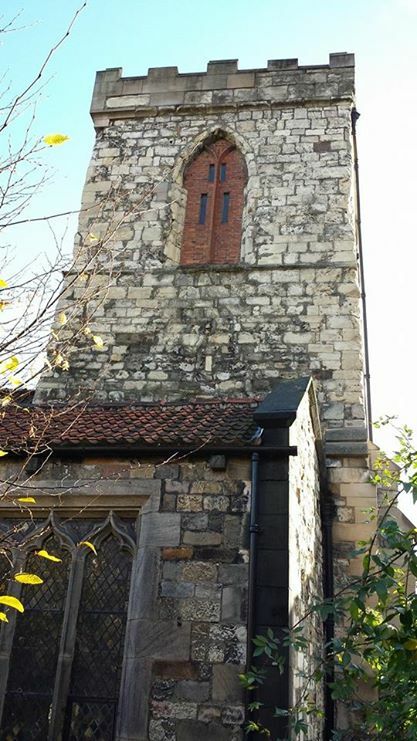 In 1501/02 the Mayor and Corporation of York ordered that a new stone postern tower be built, and construction was between 1504 and 1507 which is the tower we see today. The stone gateway was probably rebuilt at the same time, complete with portcullis. Clifford’s Tower is the only substantial remnant of the medieval York Castle, an unusual two-story quatrefoil keep built in the late 13th Century on the orders of Henry II. 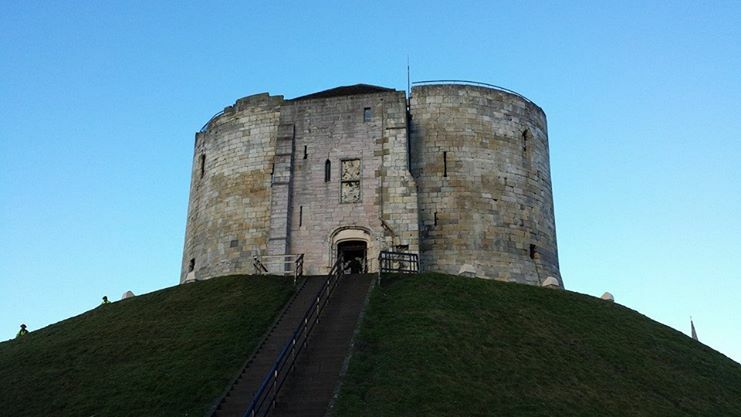 It served as a defensive base within York in addition to a medieval prison and place of execution. By the late 15th century the castle had fallen into a state of disrepair; Richard III was killed before his orders for renovation work had been carried out and it seems there was no urgency or need from Henry VII to continue with the plans. By the reign of Henry VIII the castle had fallen into further disrepair although it was still used for executions, for example Pilgrimage of the Grace leader Robert Aske was hanged from the tower in 1536. Henry VII crossed the Ouse Bridge in 1486 during his northern progress to York. He was greeted on the bridge with a throne and ‘King Solomon’ who led six men who portrayed the six earlier King Henrys. Together the group offered Henry VII a sceptre to accompany a crown he had earlier been presented at Micklegate Bar. A shower of rose water and comfits completed the exuberant and merry scene. 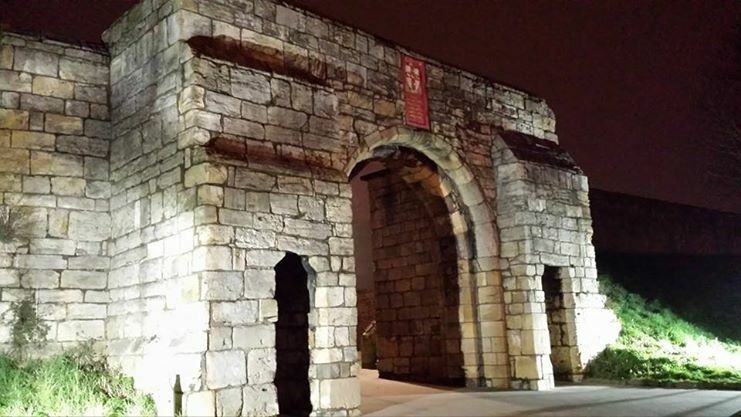 Micklegate Bar was the most important gateway to York and traditionally was the place royalty was welcomed into the city. The base of the Bar dates from the 12th century, similar to the city’s other bars whilst the top two stories date from the 14th century. 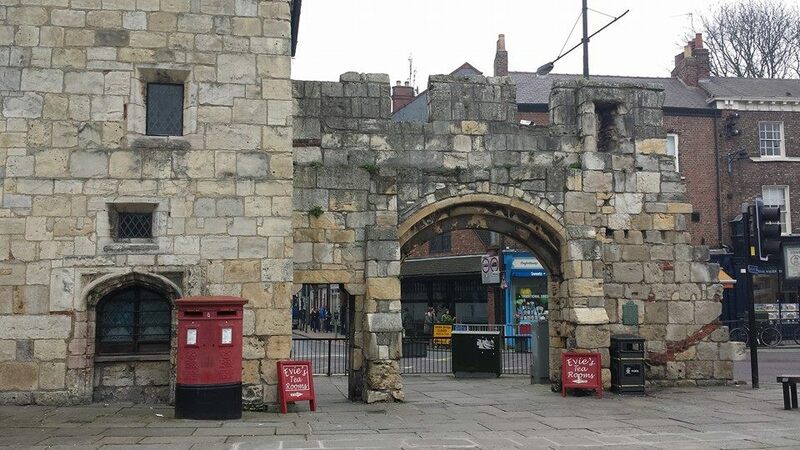 For hundreds of years Micklegate Bar was used to display the severed heads of rebels and traitors, including that of Richard, Duke of York, in 1460. The last severed head was not removed until 1754. 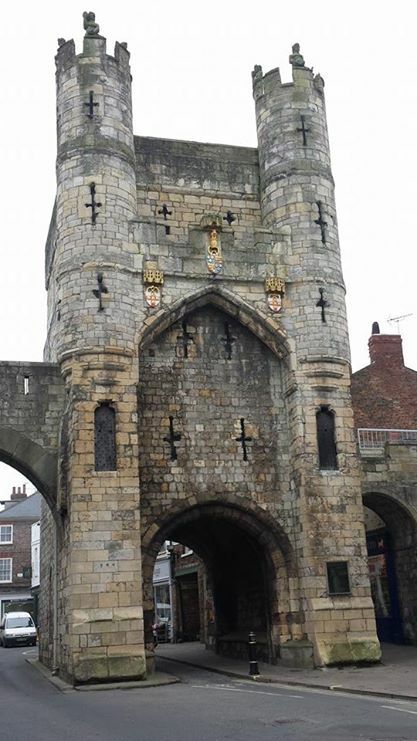 Henry VII first visited York in 1486 and his entrance to the city was through Micklegate Bar. Court chronicler Polydore Vergil wrote ‘he set out for York, to keep in control the people of the north, wild and readier than others for rebellion’. He was met by the city’s sheriffs, aldermen and Mayor at Bilborough Cross and was accompanied into the city. No expense was spared in paying tribute to this new gain and to seek his favour; it was said children lining the street cried out ‘King Henry’ and red and white roses were displayed to symbolise York and Lancaster’s union. Henry was presented with a crown and the keys to the city, symbolic of York’s submission to the king. He was greeted by a citizen dressed as Ebrauk, the legendary founder of York, who exclaimed in verse ‘To you, Henrie, I submit my citie, key and croune; To reuyll and redresse, your dew to defence; never to this citie to presume ne pretence; but holy I graunt it to your governaunce; As a principall parcel of your inheritaunce’. Henry returned again in July 1487 but this time he arrived at Micklegate at the head of an army having just defeated a Yorkist threat to his throne. The Mayor and Corporation of York met him at the Bar, where the king was accompanied by a thousand noblemen dressed in armour. A Mystery Play was put on for Henry who watched from the Coney Street house of Thomas Scott.